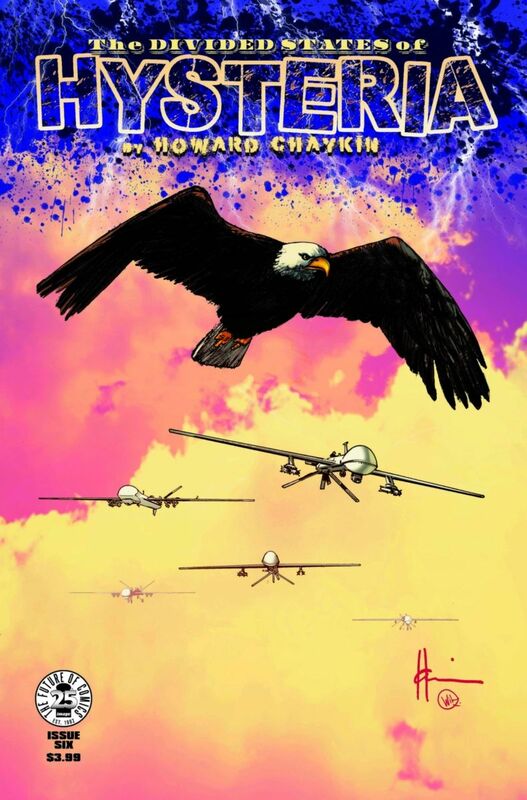 Image Comics and Howard Chaykin would like to officially apologize over the distress caused by the cover to THE DIVIDED STATES OF HYSTERIA #4. 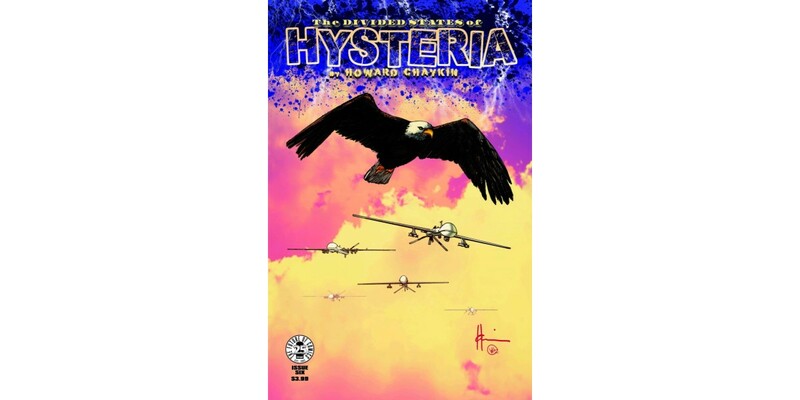 Image Comics and Howard Chaykin would like to apologize over the distress caused by the cover to THE DIVIDED STATES OF HYSTERIA #4. The purpose of this series is to sound alarms. THE DIVIDED STATES OF HYSTERIA is a comic book about the terrifying future we are heading for if our country remains on its current path. 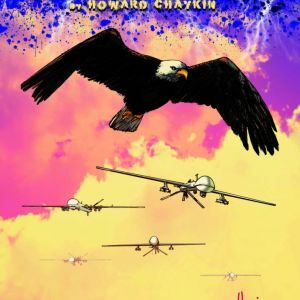 Far from an endorsement of the horrible violence depicted or the ugly language used by many of the characters, Howard's goal is to give us a glimpse into a society crumbling under the weight of ignorance, hatred, and intolerance. It’s unsettling to be sure, but it’s difficult to convey the horrors of a world gone wrong without also showing what it looks like. People have described the cover to DIVIDED STATES #4 as distasteful, and they're right, in that: ALL hate crimes are horrifying, dehumanizing, and distasteful, and the intent of this cover was to challenge people to look at what we as a society have become. Every hate crime is perpetrated under the cover of willful ignorance, because there is always someone content to turn away from what is really happening or label shameful truths as “alternative facts.” What’s more, ignoring that these hate crimes exist—and that they are happening right now—watering down in any way how bad things have become, seems like a cop out, like turning a blind eye at a time when we all need to be paying attention. At its heart, THE DIVIDED STATES OF HYSTERIA is revenge fiction set against the backdrop of a nation on the brink of collapse, with the greedy and corrupt people who brought it to that point in the crosshairs. If it was just a book meant to be provocative for the sake of being provocative, Image would not be publishing it. This series is supposed to make people angry about what’s happening in the world right now, and it’s supposed to make people want to fight back and resist the very real oppression bearing down on us all. These are trying times we are living through, and while this comic puts a spotlight on just how bad things have become and how much worse they could possibility get, it was absolutely NOT meant to harm anyone. We understand, however, that with no foreknowledge of the series’ content, the cover to this issue is painful and offensive. With that in mind, more sensitivity will be given to future covers of THE DIVIDED STATES OF HYSTERIA. The original cover to issue #4 will not be used, and the cover for issue #6 will be substituted. While Image as a company is committed to free speech and artistic expression, we also recognize our responsibility to be sensitive to all members of our readership. We listen to all feedback—from our creators, from our retailer partners, from our readers—but Image Comics recognizes that we could have responded to readers’ concerns about the graphic nature of this cover more quickly and with more empathy and understanding. We apologize for not doing so sooner.